Our new outdoor terraces are now complete providing our Pick-a-Platter guests an opportunity to book a shady outdoor table with a view. There are 6 tables located away from our main deck area. 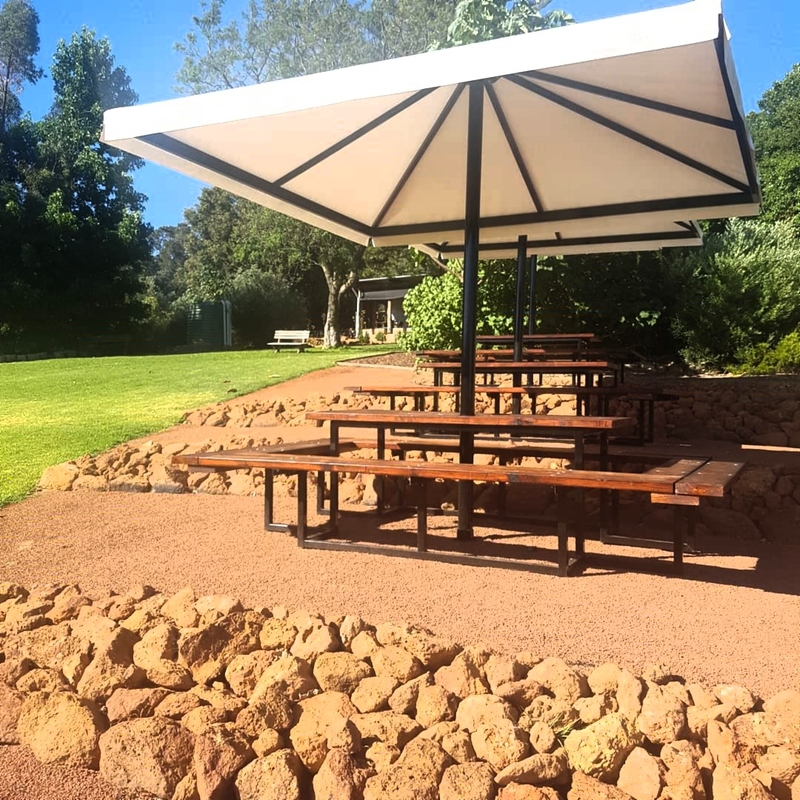 Enjoy an Italian antipasto platter with a glass of estate grown wine or cider overlooking our beautiful vines, orchard and Australian bush backdrop. Seating up to 8 people you can now book at either 11.30am or 2.30pm by calling 9293 7888 for our relaxing Pick a Platter experience. Please be aware that in the event of inclement weather, you will be contacted to determine whether or not you still wish to attend. We cannot transfer the booking to the main deck.